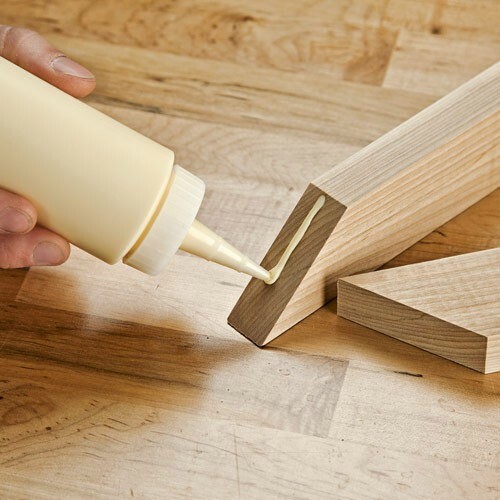 If you do a lot of work with wood, you might find that your glue bottle gets used just as much as your other tools. 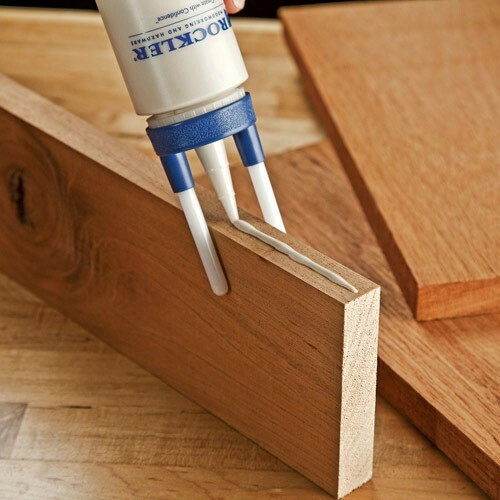 So in an effort to make the task of gluing as easy as possible for every application, Rockler has come out with a new Glue Bottle Applicator Kit. 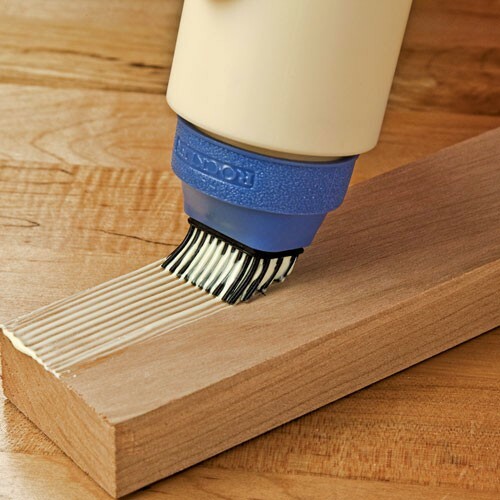 Rockler even found a way to make a silicone brush into an attachment. 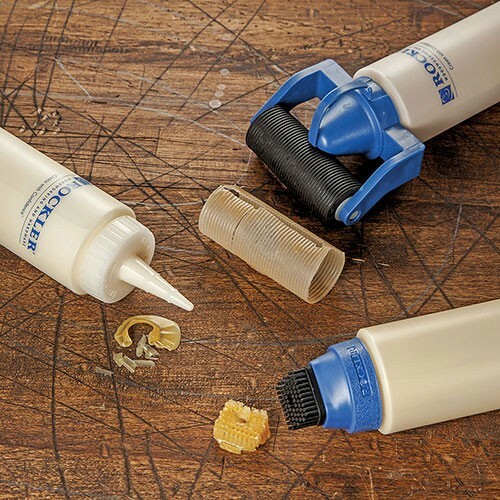 After the success of their Silicone Glue brush line I guess we shouldn't be surprised to learn that Rockler managed to find a way to mount a silicone brush directly to the head of a glue bottle. 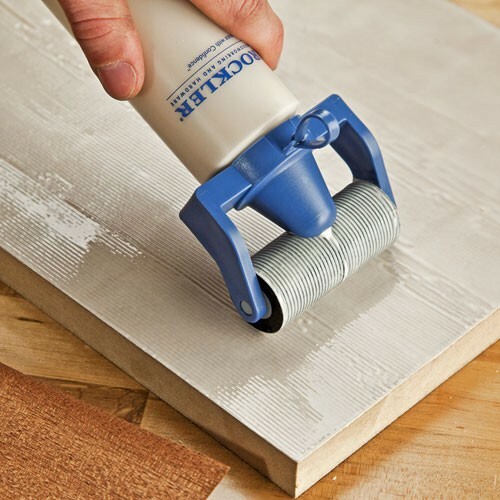 Now, instead of having to do two steps, you can pour and brush the glue at the same time. But that is not all that is included in the kit. The kit includes a total of five heads that all attach to the included 8 oz. bottle. 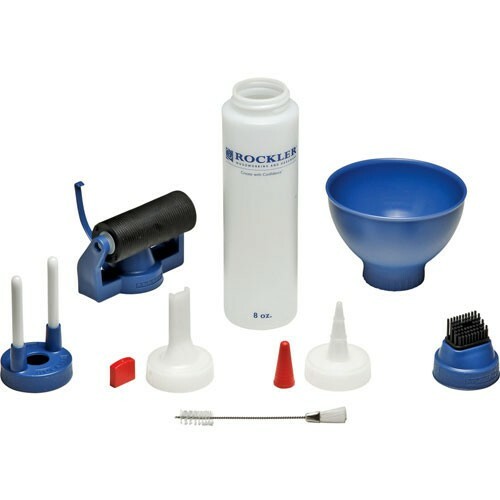 In addition to the Silicone Brush head mentioned above, also included is a ribbed roller glue applicator, a mortise applicator with cap, a standard glue spout with cap, and a funnel. Other accessories include a glue line centering guide, and a glue cleaning brush. All of the attachments are made out of materials that are easy to clean, so wet or dry glue should not be a problem. 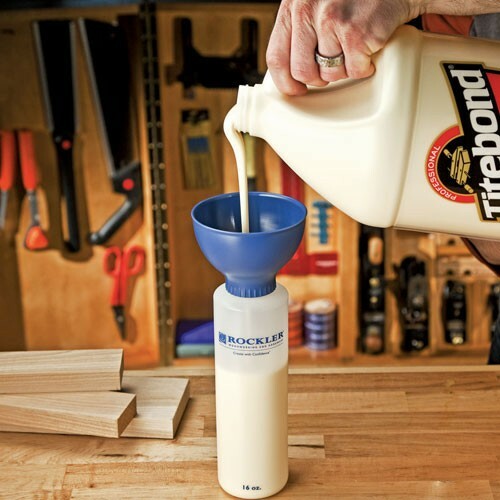 And it is also worth mentioning that Rockler chose to use the same threading that Titebond uses for their bottles, so you can use their bottles as well.